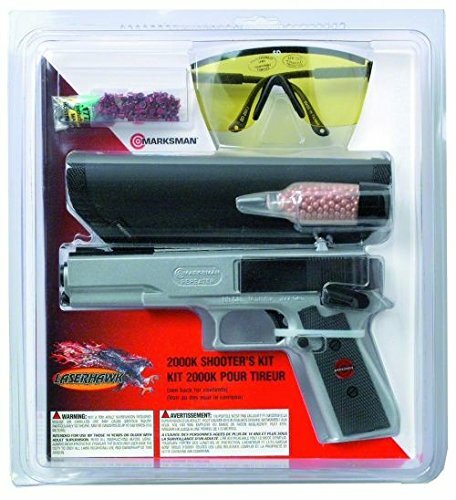 Kit includes: 2000 BB repeater air pistol, shooting glasses, BB speed loader w/ 600 ct BBs, darts, 6 ct., .177 cal., holster w/belt loop. 18 shots w/out reloading. BB repeater .177 CA-4.5mm. Also shoots pellets & darts. Cross-bolt safety. Lifetime built-in power. Clam shell. If you have any questions about this product by Marksman, contact us by completing and submitting the form below. If you are looking for a specif part number, please include it with your message.